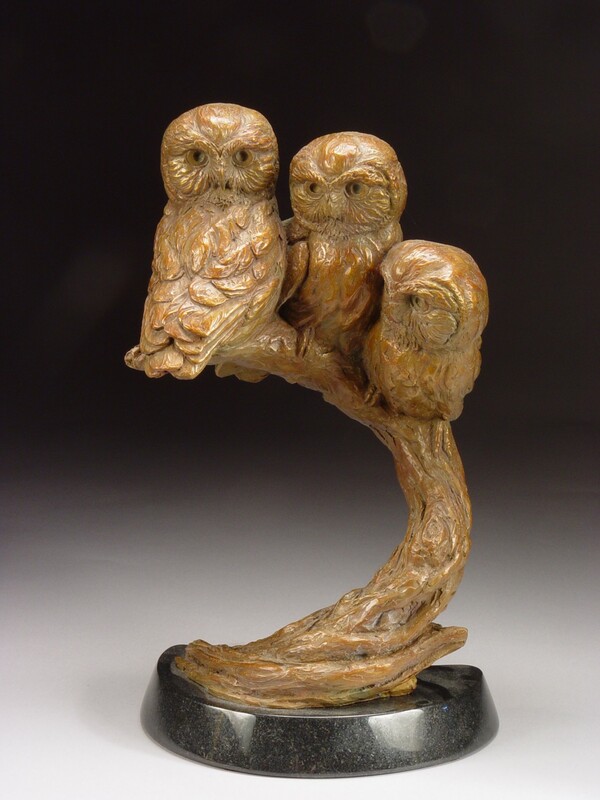 Upon viewing Eugene Morelli’s sculpture it is easy to understand how he has received such acclaim and recognition. 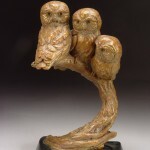 Since beginning his career in 1980, Eugene Morelli has exhibited his sculpture in many of the most prestigious galleries and shows in the country. 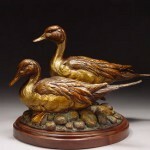 His work is found in corporate and private collections across North America and around the world. And in 2002 Eugene Morelli’s work became part of the permanent collection of The White House in Washington, D.C. 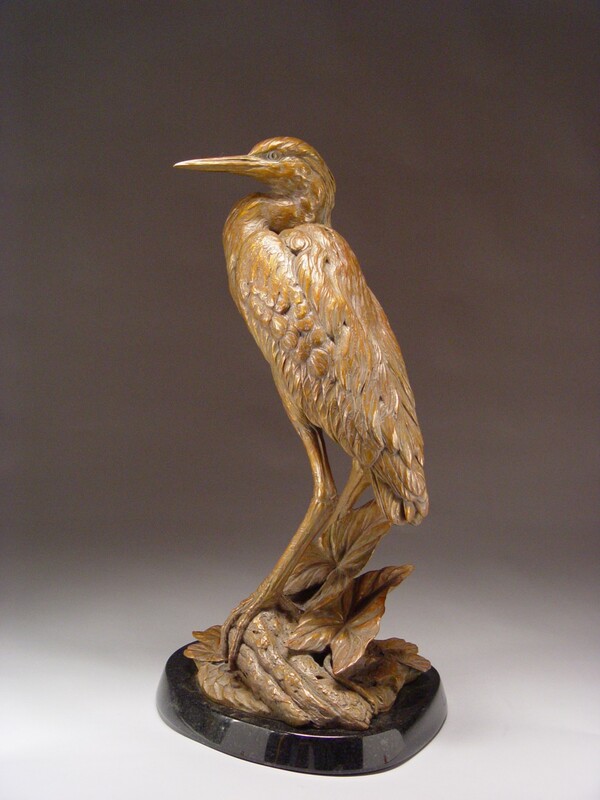 This versatile and award-winning artist is renowned as one of the premier sculptors of birds in the world. 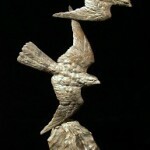 He is known for his powerful portrayals of birds of prey, especially the American Bald Eagle. He has traveled around the country to study these majestic birds. From winter gathering areas where he can observe hundreds in a day, to falconer and researcher’s private aviaries, Eugene has studied every nuance of bird anatomy. He knows what makes an eagle fly! And Eugene Morelli has captured the power, beauty and grace of a Bald Eagle in flight perhaps better than anyone with his bronze sculptures such as “Master of the Wind”, “Wings of Freedom”, “Majesty”, and “The Spirit of Freedom”. 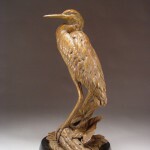 Eugene Morelli brings to his work as an artist, extensive lifelong studies of birds and wildlife, both at the university level and countless days of field studies and in hand research. He is an artist of rare talent, combining an intimate knowledge of his subjects with outstanding skill honed by years of dedication to his work. 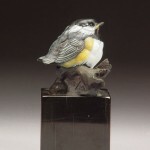 Whether the subject is the intimacy of a delicate nesting hummingbird, or the power of a grizzly bear or bird of prey, Eugene Morelli’s sculpture brings us close at hand with the beauty of the world around us. 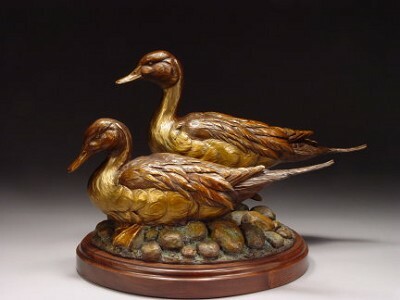 While primarily known as a bronze sculptor, Eugene has also created hundreds of one of kind sculptures in wood, combined with hand-fabricated elements in bronze and silver. 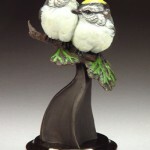 Many of these sculptures were done as collaboration with his wife Joan Zygmunt. 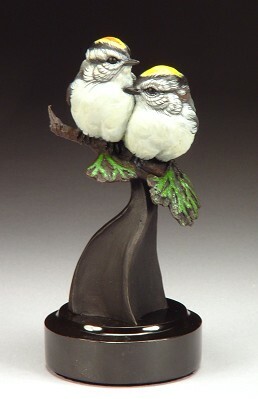 Eugene and Joan met in Ornithology class in 1979, at the University of Montana. Joan was already a full time artist when they met and her career has continued to grow and flourish. 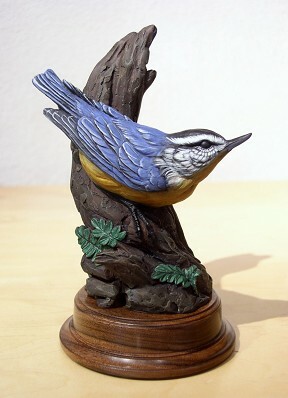 Recently, the Governor of Montana, the Honorable Judy Martz, asked Eugene and Joan to create a unique sculpture for The White House and represent Montana in an exhibit entitled “All Things Great and Small”. 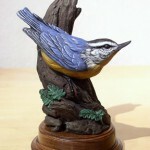 They created a life sized flying Western Meadowlark that is now part of the permanent collection of The White House. They received a personal invitation from First Lady Laura Bush to attend a reception. Being a guest at The White House will undoubtedly remain a highlight in their memories. 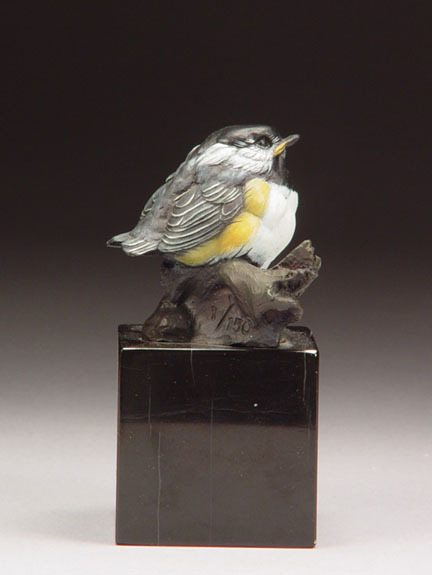 The birds and wildlife that grace his work surround Eugene Morelli’s home. This provides continual inspiration for new and innovative sculpture and helps maintain the joy and excellence so clearly visible in his work.